Win Your Child’s Height in Books is back! Here at Computershare Voucher Services, we’re all about child literacy. Nothing makes us happier than the thought of a little one getting inspired by a new book. That’s why we launched the Win Your Child’s Height in Books competition. 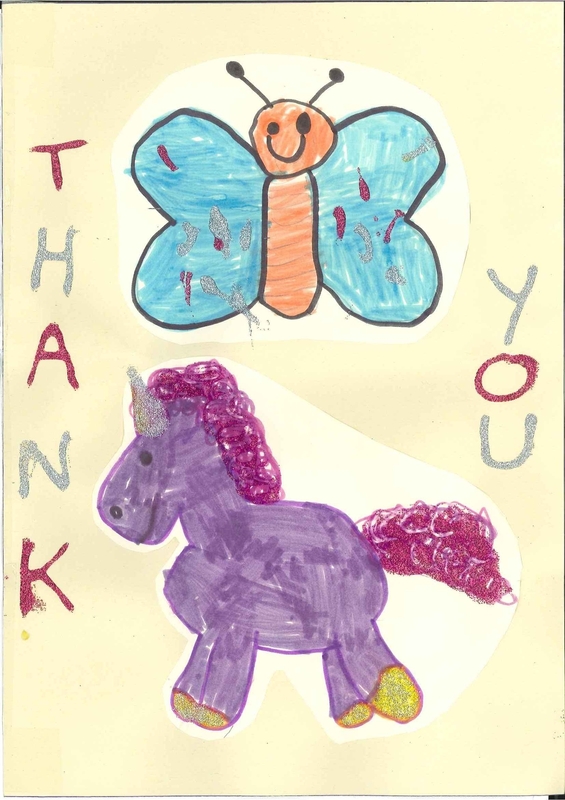 We’ve received a really nice ‘thank you’ card from the 0-5 winner of our recent Design a Christmas Card competition. Thank you very much to Elissa for making this and sending it into us! We think it’s fab and we all want to be the one lucky enough to have it on our desks! If you would like to take a look at some of the entries we received for the competition, and the three winning designs, visit our Facebook page. Could your little artist design a winning Christmas card? With the festive season less than two months away, we are on the lookout for the most talented young artists in the country, to help us create a magnificent Christmas card! The CVS ‘Design a Christmas card’ competition is open to children aged from 0-16 years old. One lucky winner will be chosen in each of the following age categories – age 0-5 years, 6-10 years and 11-16 years old. The three winning designs will be used as the official CVS Christmas e-card, which we will be sending out to employers, carers and parents registered with CVS. Each winner will also grab themselves an early Christmas present and receive a whopping £150 worth of art and craft supplies from Hobbycraft! But be quick - the deadline for entries is Friday 16th November! So get your pens and paints at the ready, as from snowmen and reindeer to crackers, decorations and presents, whatever your inspiration we want you to let your imagination run wild! To enter, simply visit our website and download an entry form. Each design must be done on a sheet of A4 paper and should then be sent back to us by post or email, along with a completed entry form. You will find full details of how to enter, and the terms and conditions that apply to the competition, on the entry form itself. Winners will be notified, and subsequently announced on our Facebook page, in early December. Good luck everyone and we can’t wait to see your designs!